Design by Médailles Canale, the trinity cross. 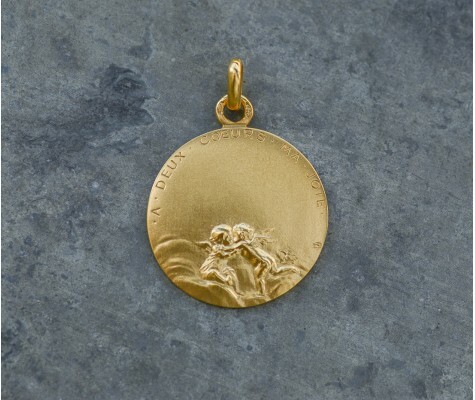 18 carats gold medal, or in sterling silver, in 21mm. This design also exists with a crown of thorns in the background. 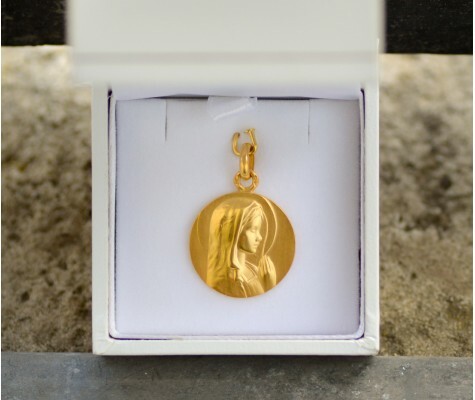 This beautiful religious medal is perfect for a christening, Holy communion or as an original and unique christmas gift. 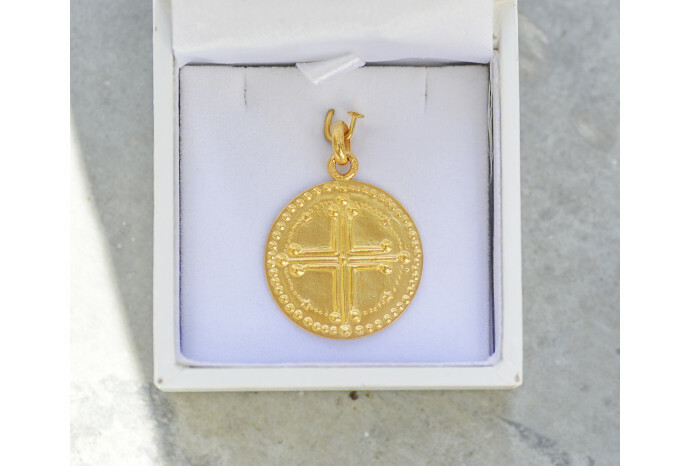 You can have it engraved on the back. All of our choices of engraving here.